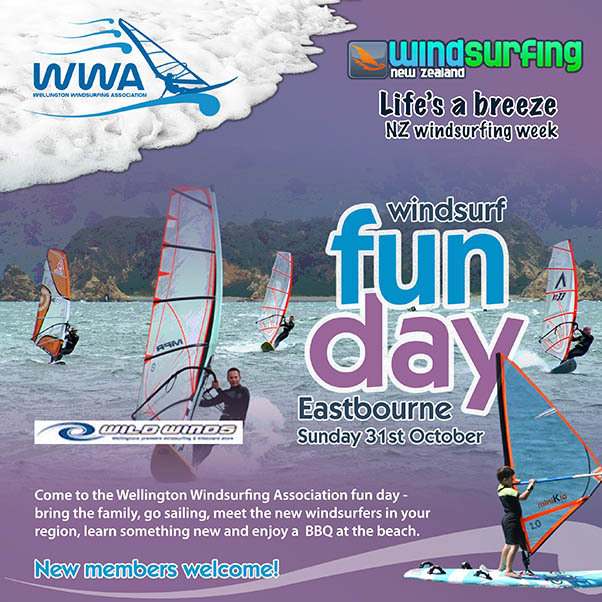 Bring the family, go sailing, meet new windsurfers from your region, learn something new and enjoy a BBQ at the beach. Bring your friends and family along, meet new (and old) members for freeride, free-style and free-bbq! Robinson Bay Beach at Eastbourne can be found here. We'll be arriving from around 11.00am so hope to see you there!